Squids Odyssey is a game about squids. No, really, squids. These are no ordinary squids, though, because these squids have personality, and a purpose. They are fighting to keep the black ooze out of their world. 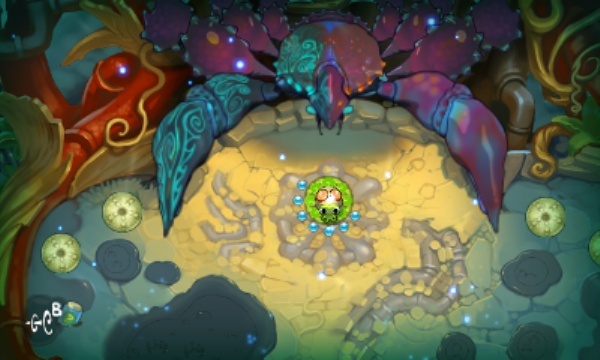 Squids Odyssey is cute, fun, plays well, and is a nice, short little RPG experience. The game is a turn-based RPG that can be a little confusing. Most RPGs contain an automatic leveling system that Squids Odyssey does not. You start out with your first Squid, Steev. Steev is part of the "scout" class, meaning that his special move is that he can move further than other squids. Scout is only one of five classes, though, each with it's own special skills. In the game, you take control of each squid, one at a time, and use either the thumbstick or the touch screen to decide the direction and power your squid will use to move. Actually, the touch screen worked better in these instances, which was pretty much the opposite of every other 3DS game I've ever played, but it was a nice surprise. Each level will give some sort of direction as to what the objective is, such as "reach the boat" or "defeat all enemies." I liked that every level was a little different. Along to way to reach your goal, you can collect pearls to fund purchases for your squids such as new helmets, which enhance some of your squids powers. One of the main problems I had with the game was the level detection of your Squids in relation to how close they are to "falling off" the level. All too often my Squids would get fairly close to the edge of a level, and would all of a sudden just get sucked off into the abyss, unable to continue fighting on my team for that round. The leveling system is a little weird, and makes you manually level your squids which I thought was a little weird for an RPG but it was a minor inconvenience. Overall, the game was very enjoyable, and easy to just pick up and play for a few minutes and then put it back down. A good mobile game. Final Rating: 80%. 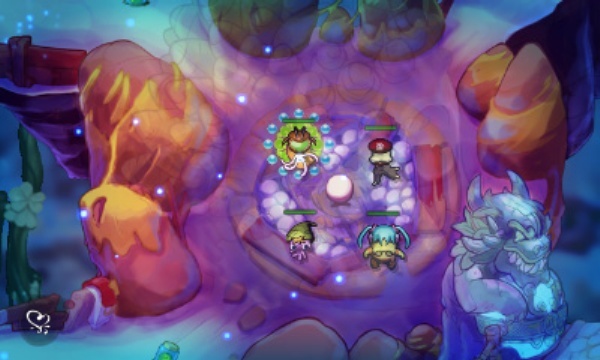 An addictive, quirky little RPG that's high on charm and low on price.